Ireland stopped funding an anti-drug programme in Iran because of concerns that drug traffickers detected under the scheme were being sentenced to death. The Department of Foreign Affairs said funding to the United Nations-run project ceased because of human rights concerns related to the use of the death penalty. Between 2005 and 2011 Ireland provided €600,000 to the United Nations Office on Drugs and Crime. By 2011 approximately 80% of the funding was being used to finance a programme in Iran designed to increase drug detections by providing assistance to anti-narcotic police and customs officers. It has now emerged that Ireland withdrew its funding from the programme at the end of 2011 because of concerns that drug traffickers apprehended under the scheme were being put to death. Minister of State at the Department of Foreign Affairs Joe Costello, has said the Government took the decision to withdraw funding from the programme because it "could not be party" to funding the death penalty. Speaking on RTÉ’s Morning Ireland, Mr Costello said the Government withdrew funding at the end of 2011 after human rights groups reported on a sharp increase in the use of the death penalty. 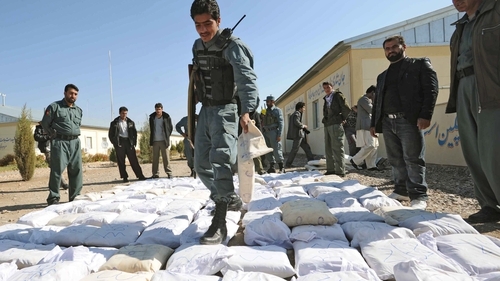 The UNODC requested aid from EU countries in 2005 to help fight against drug trafficking in Iran and to fund better screening, sniffer dogs and other drug-detecting equipment. Ireland and a number of other EU countries, including the UK and Norway, agreed to aid the programme to reduce the flow of drugs into the EU. Mr Costello said that in 2011 Amnesty International and Human Rights Watch reported a steep rise in the use of the death penalty by the Iranian authorities. He said: "It was almost being used exclusively for drug traffickers, over 80%, so at that point in time we ceased the funding." Mr Costello said the Government had raised its concerns at the highest level in the UNODC, and with the UN Human Rights Commission, saying that it was incompatible with Ireland's human rights policies. "We have made it very clear to the UNODC that we could not be party to any funding in relation to where the death penalty is used so liberally and used almost exclusively for drug traffickers. He also rejected suggestions that it raised issues over the Department of Foreign Affairs oversight of Irish aid. The organisation Reprieve, which campaigns against the death penalty, has welcomed the decision. It said there are around 500 executions in Iran each year, with drug offenders making up a large majority of those put to death.